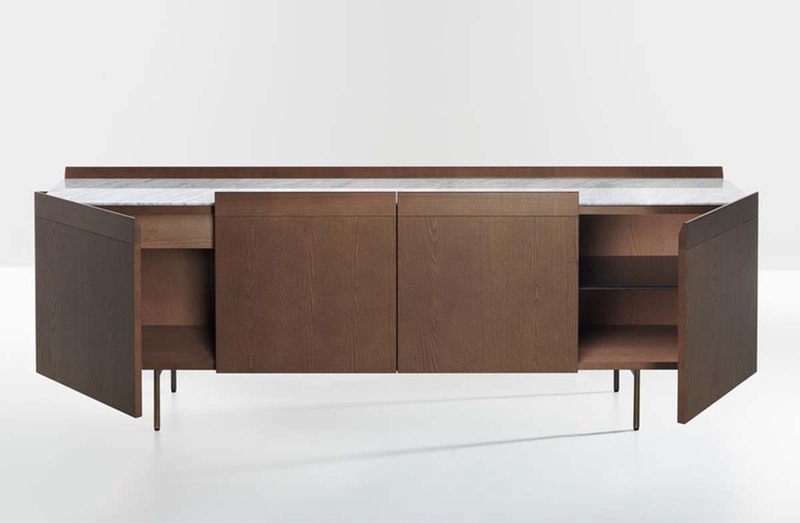 Four door credenza with structure in ash wood, top surface in wood to match, lacquered glass, or marble, and base in metal with bronze finish. Interior outfitted with shelves and upper drawers. Structural wood finish: Beige analine, biscuit, mocha, dark grey, wenge, or carbon.